Jim Thome shopped around this offseason, with his agent floating talk of a two-year contract and the Rangers emerging late as legitimate suitors for the 40-year-old slugger, but yesterday Thome turned down Texas' offer and returned to Minnesota for one year and just $3 million in upfront money. Signing him for $1.5 million plus incentives was the best move any team made last winter and the same may be true of keeping him for $3 million plus incentives this winter. As a left-handed hitter who struggles versus left-handed pitching Thome isn't quite the perfect fit for the Twins' lefty heavy lineup, but ultimately handedness should take a clear backseat to overall production and Thome batted .283/.412/.627 with 25 homers and 60 walks in 340 plate appearances last season to join Justin Morneau, Josh Hamilton, Miguel Cabrera, Joey Votto, and Albert Pujols as the only MLB hitters with a 1.000 OPS in at least 300 trips to the plate. 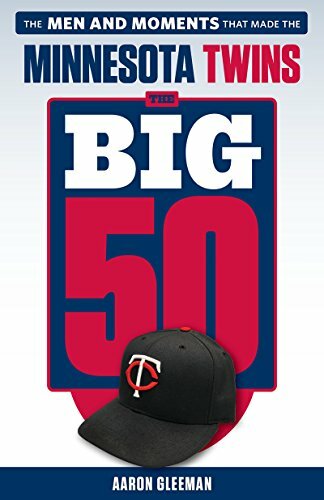 Thome is unlikely to repeat that MVP-caliber production because no 40-year-old hitter has ever come within even 100 points of the 1.039 OPS he had at age 39, but he could lose 200 points of OPS this season in what would be the worst full season of his career and still be the Twins' third-best hitter. He's an elite bat coming off an amazing year in a part-time role and the Twins re-signed him for less than they paid Nick Punto last season. Perfect fit? No. Great move? Yes. Thome started just 34 of 84 games prior to Morneau's concussion on July 7, so Thome's return combined with a healthy Morneau would create the same lineup logjam with five good hitters (Thome, Morneau, Delmon Young, Michael Cuddyer, Jason Kubel) for just four spots. And if healthy Morneau is going to play nearly every day, so that would mean one of Thome, Young, Cuddyer, or Kubel on the bench for each game. Against right-handed pitchers the simple solution would be to bench Cuddyer, who batted just .265/.307/.393 versus righties last season and hit a combined .261/.319/.423 off them during the past three years. In theory sitting Cuddyer against most right-handers should be an easy call, but Ron Gardenhire has shown nothing to suggest he'd be willing to platoon him and in fact Cuddyer has almost never been a healthy scratch at any point in the past five seasons. My hope is Gardenhire will realize Thome is so spectacular versus righties--clobbering them to the tune of .302/.455/.698 last year and .266/.396/.543 from 2008-2010--that he must be in the lineup whenever one is on the mound, but that certainly wasn't the case before Morneau's concussion forced Thome into a bigger role. Assuming everyone is healthy, any game Thome is not starting versus a righty is a game the Twins likely didn't put their best lineup out there. Choosing a lineup against righties will be tough for Gardenhire because of the logjam created by Thome's return, but choosing a lineup against lefties will be tough because the Twins simply don't have enough capable right-handed bats right now. Thome hit .228/.321/.481 off lefties from 2008-2010, which is mediocre at best for a designated hitter yet dwarfs Kubel's measly .233/.312/.351 line off lefties during that same time. Much like Jacque Jones before him Kubel should almost never be in the lineup against lefties, but he started 38 of the team's 56 games versus a left-hander last season and had 183 plate appearances off southpaws overall. Thome is a far better option than Kubel versus lefties, but doesn't actually qualify as a good option versus them and sitting Thome when southpaws start would make it easy to keep the 40-year-old well rested as he joins the 600-homer club. Bringing back Thome for $3 million in guaranteed money is a no-brainer, but the Twins will only receive the full benefit of the great move by actually playing him over Cuddyer against righties. And while bringing back Thome at a bargain price doesn't do anything to balance their lineup versus left-handed pitching, the Twins should have been looking for a right-handed bench bat anyway and can still address the issue by signing any number of free agents at minimal cost. He's not the perfect fit, but retaining a middle-of-the-order monster for the 100 games started by righties is a lot more important than finding a solid right-handed bat capable of beating up lefties for the other one-third of the schedule. And the great move can become even better if Gardenhire starts Thome against righties more often than he did prior to Morneau's concussion and the Twins add a righty bench bat decent enough that Thome isn't needed versus lefties. It’s sad that you have to lecture Ron Gardenhire on who to start. Shouldn’t he know the numbers and understand who to start? Sadly, he doesn’t. He’s stuck in the 1970’s and manages accordingly, playing the players he likes and the players who pass his eye test. It amazes me that a major league manager can’t understand baseball statistics in 2011. I was just having the Cuddyer/Kubel argument yesterday with a co-worker. Cuddyer needs to sit against the best RHP and Kubel against most LHP. I would argue that Delmon’s numbers against RHP are very similar to Cuddy’s the last three years. You pointed out my frustration very clearly: Why haven’t they signed a RH to platoon with Kubel/Thome at DH? I think Glaus would be a great fit. He mashes LHP and won’t require regular playing time, ala Thome. He would also give them another 1B option. I really don’t want to see Delmon & Kubel in the OF at the same time. Delmon runs well but he loses hand/eye coordination when going back on flyballs. Kubel, since his knee injury, has very limited range. Cuddyer is far superior defensive OF than these 2 and needs to be an everyday player. I was hoping for a strong RH bat off the bench also but with Thome back that seems unlikely. With 4 bench spots we have Thome, Butera, Repko and probably Tolbert. Cuddyer is most definitely NOT superior on defense to Delmon and Kubel. Past couple years, this trio has combined to be some of the worst defensive outfielders in the league. I can’t wait for a Benson/Span/Revere (and at some point hopefully Hicks) outfield. Based on your UZR rankings it does appear that Cuddyer is superior to Kubel and definitely better than Delmon. I have watched most of Twins games the last several yrs and I know what I see. Delmon cannot go back on a ball over his head. He has a very strong arm, but is not very accurate. Kubel has no range, but does have a fairly strong arm and is accurate. Cuddyer has a very strong arm and excellent accuracy. Although he is no speed merchant, he runs fairly well and will catch the balls he gets to. What’s the basis for UZR rankings? Seems to me that it has to involve subjective analysis. A big part of playing defense is positioning. A player that is positioned to the area where the batted ball is put in play doesn’t need to have as much range as a player who isn’t. I just saw the UZR rankings of the top 5 LF’s of 2000-2009 and Garrett Anderson & Matt Holiday made the list. Both of these guys are brutal OF’s. Trot Nixon & Austin Kearns were in the top 5 for RF’s. What a joke. Garret Anderson played more than 3,000 innings in center field, and Nixon and Kearns both saw significant action in center field. You dismissing them as “brutal” corner outfielders when teams felt they were good enough to play regularly in center field pretty much shows why “I know what I see” isn’t a legitimate way to measure defense. I find it amusing that people think that defense can be statistically quantified. I agree that basing defensive performance strictly by errors committed is flawed. Steve Garvey is a prime example, he rarely committed any errors but had a very weak arm and rarely tried to field any ball that wasn’t hit right at him. At one time he held the longest consecutive error streak by a 1B. Enlighten me as to what data is used and how it is measured (and by whom) in deriving these UZR rankings. Note: Before I begin explaining the UZR system, keep in mind that there are at least two components of defense that UZR does not address: One, an outfielder�s “arm”, and two, an infielder�s skill at turning the double play. Of course, these skills can be measured (and they are in my Super-LWTS system). They are just not included in UZR. Like ZR, UZR is designed to measure and quantify only that skill which enables a fielder to turn batted balls into outs. So UZR doesn’t factor in an OF’s arm or an IF’s ability to turn a double play. That seems to be some glaring omissions. How many baserunners don’t try to take the extra base on Cuddyer? UZR doesn’t have the capability to measure that. If defense can’t be statistically qualified, then how do video games do it? I’m not saying that video games are the do-all, end-all means for determining defensive quality, but if you couldn’t use numbers to define defense, then Ryan Franklin would be just as good in center field in games as, say, Jim Thome. The computer can’t base defensive skill on “what I see with my eyes,” so it has to numerically quantify it somehow. It may not always be accurate, but at least it tries, which is the same thing that we do with UZR and other stats. I hope to hell this team doesn’t keep 12 pitchers; I realize the bullpen is unsettled right now, but 7 relievers is absurd. We should have 11 pitchers (5 starters and 6 relievers) and 14 hitters (9 to start, and 5 for the bench). there should be room for the bench to be a backup catcher (Butera), a backup middle INF (Tolbert), a 4th outfielder (Repko), a pinch-hitter/DH (Thome), and an additional bat from the right side. Luke Hughes looks like the best option internally; he can fill in as a corner INF if needed and might be able to cover in the OF in an emergency. Unproven as a hitter, but might have enough pop in his bat to make him an asset. 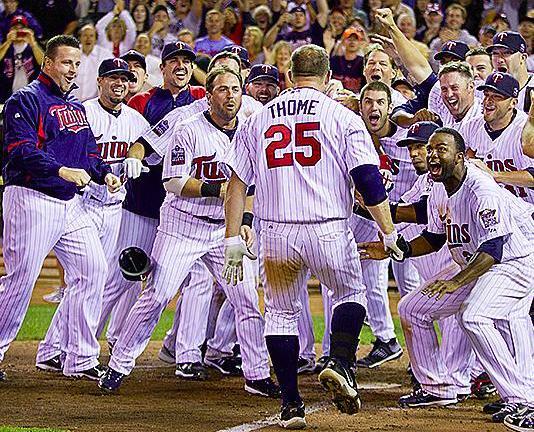 I’m very happy to have Thome back, and I hope he stays healthy and gets used well. The price was very good for the club and it’s a good situation for Thome. I just saw the UZR rankings of the top 5 LF’s of 2000-2009 and Garrett Anderson & Matt Holiday made the list. I’ve watched nearly every game as well, and I partially agree with what you say. Delmon is atrocious on anything hit behind him, but does have a strong arm. However, I feel that Kubel and Cuddyer are rather similar. Both will catch what they can get to, but unfortunately they don’t get to many balls. I also believe that many people overvalue Cuddyer’s arm. Sure, it can stop some baserunners from advancing bases, but I’d rather have Ben Revere’s defense than Michael Cuddyer’s. If defense can’t be statistically qualified, then how do video games do it? I bet this was supposed to be a rhetorical question, but MLB The Show uses Fielding Ability, Speed, Reaction, Arm Strength, and Arm Accuracy. These are all things that scouts look at. Relating this back to Dose of Thunder’s comments, scouts quantify a lot of stuff as well by using the 20-80 scale. Maybe not necessarily all the stuff I listed that The Show uses, but they do it too, just not with mathematical formulas. 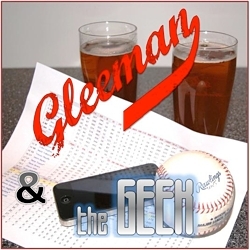 “The basic problem with fancy defensive statistics is that they aren’t statistics at all in the sense normal baseball fans understand the word. It is a fact that Cory Snyder hit .272 in 1988. On its own, this means nearly nothing, but by putting it together with other statistics, which account for playing time, his hitting environment and such, we can derive an evaluative metric that tells us how good a hitter he was in 1988. This agrees with my point in an earlier post where I questioned the basis of UZR and the fact that it involves subjective (not objective) analysis. Dose, stop being a troll and go back to the Strib website. Not sure where you got your info on not including a fielder’s arm, or ability to turn a DP. But it appears to have been pretty crappy (kind of like your eyesight). If you think that professional scouts are just watching a game and saying, “wow, that looked good” but not writing any of their observations down, then you are missing a major component. That is the fact that their observations are recorded, not just remembered. This stance based on the fact that you think that Cuddy is “far superior” to Kubel defensively is a little silly. I’m not disagreeing that Kubel isn’t the same defender Cuddy is, but the gap is really quite a bit smaller than you believe it to be. Your memory is distorted, and thus you have now written several posts trying to prove that your eyes aren’t mistaken. However, several other people who are paid to watch and track this information (i.e. professionals) are saying you are wrong. By looking a the statistics, one can reasonably assume that the offensive upside of platooning Kubel and Cuddy would outweigh any type of slight drop off in defensive production. You are certainly entitled to your opinion, and I won’t begrudge you that. I like Cuddy, but I know what my eyes (and statistics) tell me when he faces right handed pitching. It isn’t pretty. I guess I just find it interesting that you would come to a website that heavily uses advanced statistics, and then rail against said statistics. It just reeks of looking to start an argument (hence the troll comment). I’m very interested to see what the new field fx information is going to do with our current defensive metrics. I think having a more unbiased system used to evaluate plays will put to rest some of the doubts regarding the accuracy of some of the new advanced statistics. Perfect fit? No. Great move? Yes. Assuming everyone is healthy, any game Thome is not starting versus a righty is a game the Twins likely didn’t put their best lineup out there. I think the key to getting the most out of Thome will be to keep him fresh and give him lots of time off. To be fair, Kubel was needed in the outfield because Cuddyer was playing first base. I believe in advanced offensive stat metrics, but not defensive ones. They seem to be based on too much subjectivity. Back to Werth and why he doesn’t need me to defend him. It’s not Werth who needs defending. It’s his defense that needs defending. But only if one attaches significance to the minus-6.9 “Ultimate Zone Rating” assigned to Werth’s defense this year. The number implies that Werth had a crummy year defensively. Which didn’t make sense to me. And I suspect it doesn’t jibe with the Matrix’s computers on Yawkey Way, either. I was surprised to learn that Werth’s number was ugly. It contradicted everything I’d heard from major league personnel who’d watched Werth, and what little I’d seen of Werth this year. Even a mediocre ranking for Werth would’ve surprised me, because I’d seen him make so many excellent defensive plays over the years. Like the one he made in San Diego’s ballpark this past August. He ran some 100 feet to “Death Valley” in right-center field, then reached up and backhanded Adrian Gonzalez’s 400-foot drive. It was a staggering play, partly because Werth did it so smoothly. It also was critical to the game’s outcome, a Phillies victory that was part of San Diego’s 10-game losing streak. Someday, when Werth and Gonzalez are Red Sox teammates, they can joke about that play. Statistics are cool because they tell us so much about a ballplayer when we don’t see him. I had seen Werth in fewer than 10 games this years, which is why his lousy UZR made me curious. Had Werth gone from being an above-average defender to a below-average one? Had an injury detracted from his mobility? Maybe what I’d seen was the exception to the rule. So I asked a few baseball people who’d seen a lot of Werth. I also asked two members of the Philadelphia media who saw all, or nearly all of the Phillies’ games. Nope, nothing wrong, they said. They all said Werth was having a good year defensively. A month later, then-Phillies outfield coach Davey Lopes went one step further. He said Werth had a great season defensively. Werth is like Barry Bonds, who in his prime was the best fielding left fielder I’ve seen. He’ll risk having a ball sail beyond him. “He plays a shallow right field,” Lopes said. To watch Jayson Werth play defense, Lopes said, is a beautiful thing. Nonetheless, Werth’s UZR of minus-6.9 would lead one to believe that he had declined sharply this year, for in 2009 his UZR was a plus-4.3, preceded by a plus-17.8 in 2008 and a plus-13.3 in 2007. For his part, Werth said his defense this year may have been better than it was a year ago. “In 2009,” he told FanHouse after Game 2 of the Division Series, “I had a leg thing going on that hampered my ability to take off. When I was I up to full speed, I was fine. But I wasn’t able to take off. This year, I had no problems. Dose of Thunder, you are correct when talking about Werth simply for one thing: a flaw of UZR is that it can have wild fluctuations from year to year. It’s been cited as becoming reliable once you have at least 3 years of data. Werth has been above-average in terms of UZR every single year except last year. It wouldn’t be surprising to see him return to the positives again this year. Having Thome makes me think that–at least against righties–it might be worth starting Cuddyer at 2B or 3B, just to keep him, Thome, Kubel, and Young in the lineup. It seems Thome in the lineup instead of Casilla might be worth the defensive downgrade of having Cuddyer at 2B.